Fortunately, IHG has a PointBreaks promotion that allows you to book free nights at just 5,000 points through April 30th. The eligible hotels are a bit limited, so you will definitely need to stay flexible. Let’s see what options you have for the 2017 Q1 IHG PointBreaks promo. 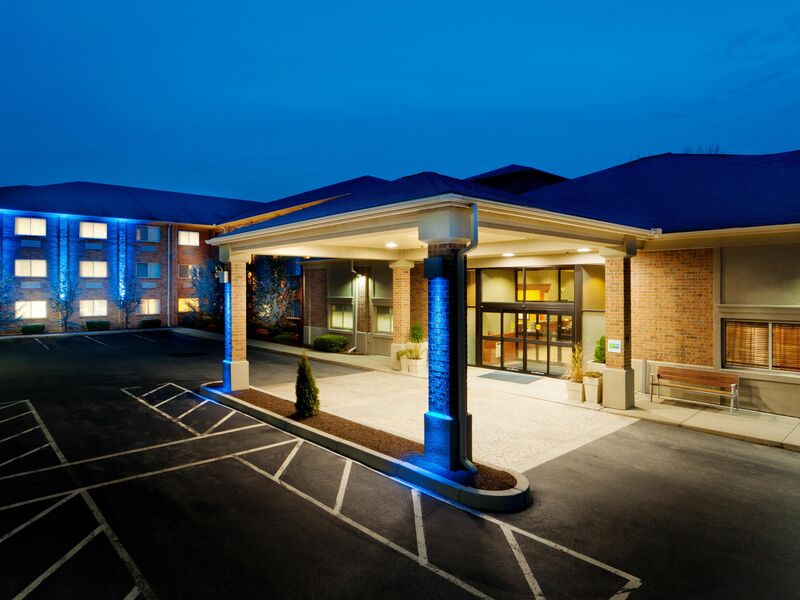 This Holiday Inn Express in Rhode Island is a great option for 5,000 points per night. A typical nightly stay will run you $99-$149 a night. Using just 5,000 IHG points means you’ll be getting at LEAST 2 cents per point, a great redemption. For just 5,000 points per night, you can stay at this Holiday Inn in Naples (Nola), Italy. This hotel is built into a “volcano”, which is what Naples is well-known for. Prices range from $60-$120 per night so you’ll at least be getting over 1 cent per point. IHG allows free cancellation of bookings, generally up to 24 hours before your stay. Use this benefit to your advantage if you find a room you like. IHG only offers a select number of rooms to be booked at the 5,000 point rate. Once the PointBreaks capacity is reached at a certain property, rates will return to their normal level. If you need more IHG points, you can transfer from your Chase Ultimate Rewards account. Points transfer at a 1:1 ratio, but make sure you are getting at least 1.5 cents per point if converting Ultimate Rewards (IE: the room rate should run $75 or more at the cash rate). You can even purchase points for as little as $57 per 5,000. The $57 per 5,000 rate would require you to buy in bulk ($690). If you purchased just 5,000 points at a time, it would cost you $69 per 5,000. Make sure you have use for these points before purchasing. Also make sure that the hotel you are interested in has a cash price of at least $70 per night if you plan on buying points.